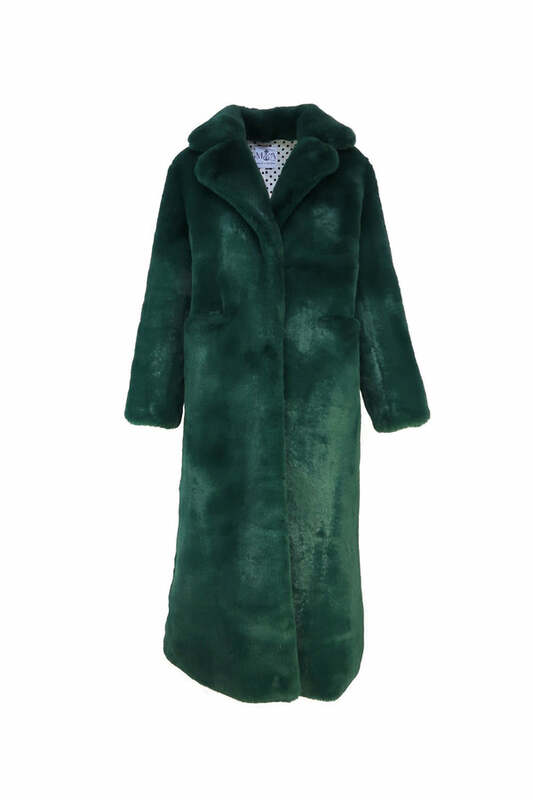 This faux fur coat offers an oversized longline fit, featuring long sleeves, notched lapels, deep set hip pockets and a straight hemline. 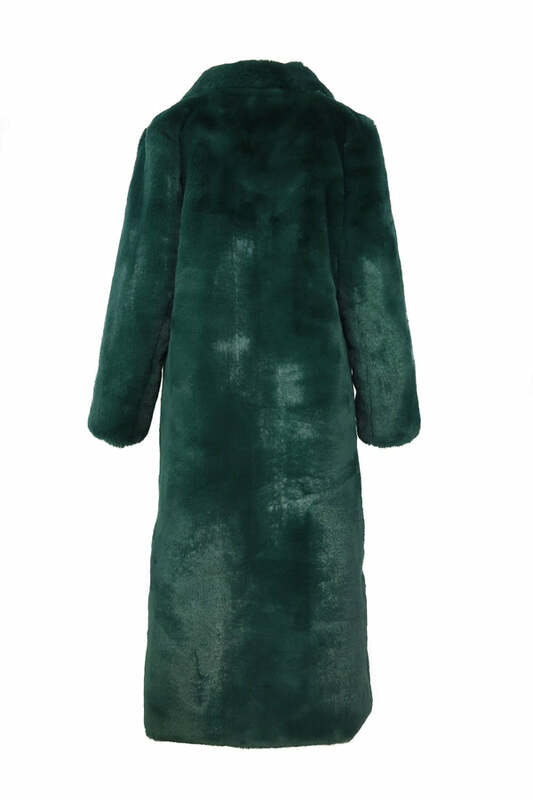 Designed to be worn oversized, so don't be afraid to go up a size so you can layer underneath. Outer lining is made from high grade faux fur material. Inner lining is made with our custom polka dot silk lining.